Spring calls for a wardrobe refresh – and more so than that, a bedroom update. The new season brings about a renewed sense of energy, and there’s no better way to channel that energy than by breathing new life into your room. And a few quirky cushions are quite possibly the easiest — and most fun — way to change up your bedroom decor. No nailing or hanging required! 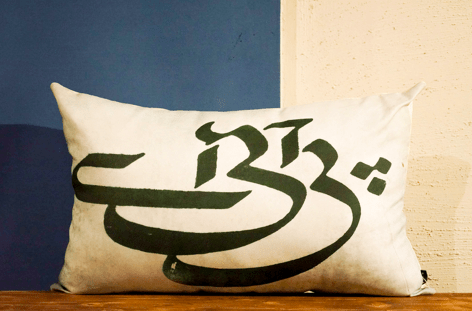 Add some cool toned hues to your sofa, with this cushion from Khaadi! We love the simple, ethnic print. 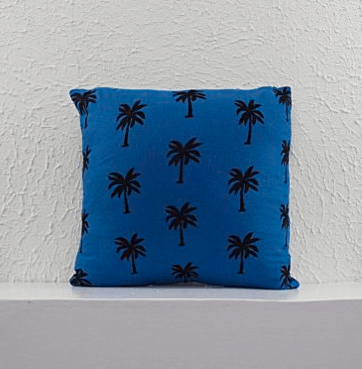 Express your quirky style with this off-beat cushion from 9Lines! 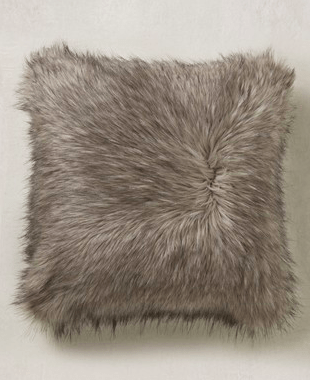 If you’re looking to add some luxe accents to your room, try a fun faux fur pillow like this one from Next! With out the dark, heavy fabrics for some pastel lace this spring. 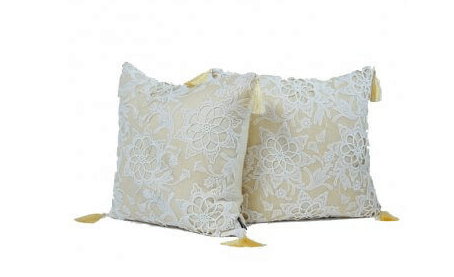 These chantilly lace cushions from Interwood are a must have! 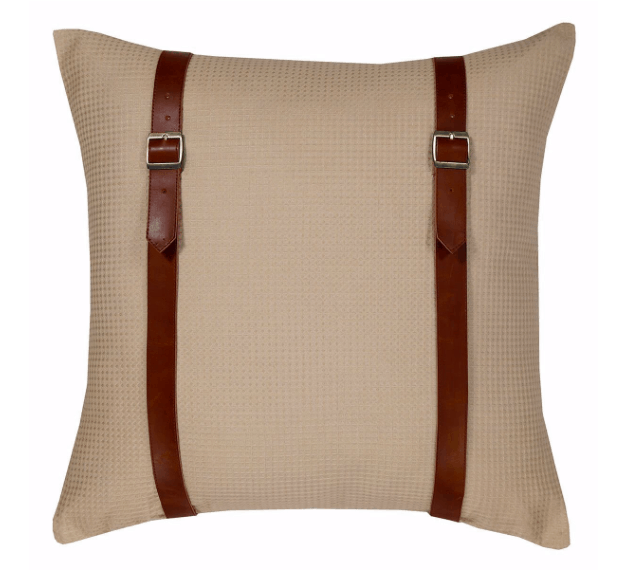 For a more rustic look, opt for these sleek cushions with leather detailing from Araish! 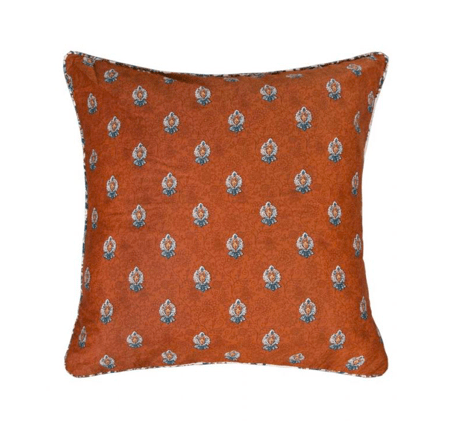 Place this cushion from Pith strategically on a jewel toned sofa, to add texture and depth to your room. 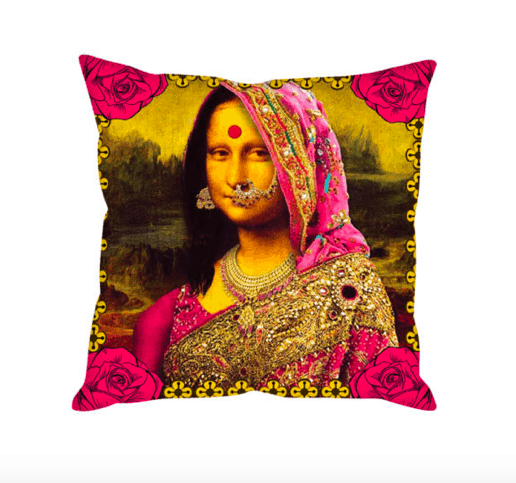 Not only does this cushion from Gul Ahmed add a fun pop of color to your room, the motif print will always be in style!